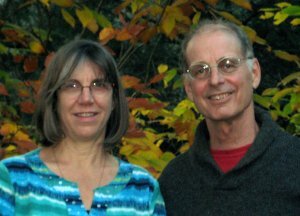 The Plant Spirit Medicine course is taught by Eliot Cowan and Alison Gayek. The course was developed by Mr. Cowan, who also authored the book, Plant Spirit Medicine. Eliot has been teaching, leading healing retreats, and maintaining a private practice for many years. He began to study and practice herbalism in 1969, then temporarily set it aside to study acupuncture. He received his Licentiate, Bachelor and Master of Acupuncture degrees from the late J. R. Worsley at the College of Traditional Acupuncture, Leamington Spa, England, and served on the faculty of that institution in 1979-1980. In the early 1980’s, Eliot once again turned his attention to herbal healing. Following a recommendation by Dr. Worsley, he began seeking the guidance of the plants themselves to support the healing of his clients. In this way, Eliot rediscovered the ancient shamanic practice of plant spirit medicine. Eliot has continued his healing work through the traditions of the Huichol people of Mexico. He completed his shamanic apprenticeship with the late don Guadalupe Gonzalez Rios. Alison Gayek has been teaching Plant Spirit Medicine with Eliot Cowan since 2002. Always looking for the path that spoke to her heart, Alison found herself reading Plant Spirit Medicine in 1996 and immediately knew that she would study and practice this healing modality. She began studying with Eliot Cowan in 1997 and graduated from the PSM course in 1999. Since then, Alison has maintained a strong effective PSM practice. Alison teaches the PSM Practitioner Training Course, graduate clinicals and skills courses, and also works to teach, mentor, and support new graduates as they start their own practices. In addition, she is a qualified clinical consultant and provides clinical consultation for students and graduates.